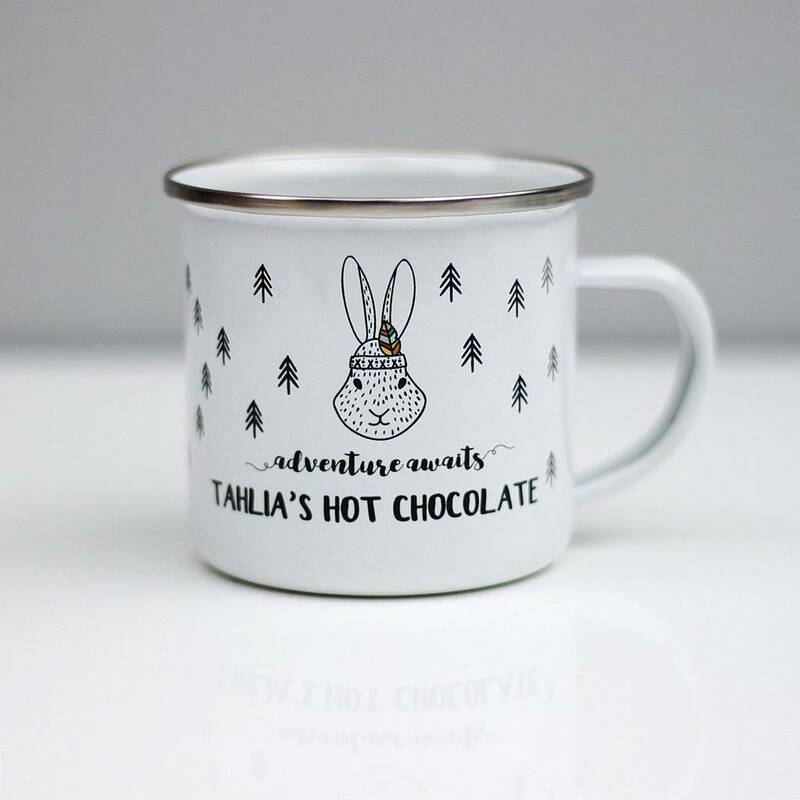 Introducing our Personalised Hot Chocolate Enamel Mug. 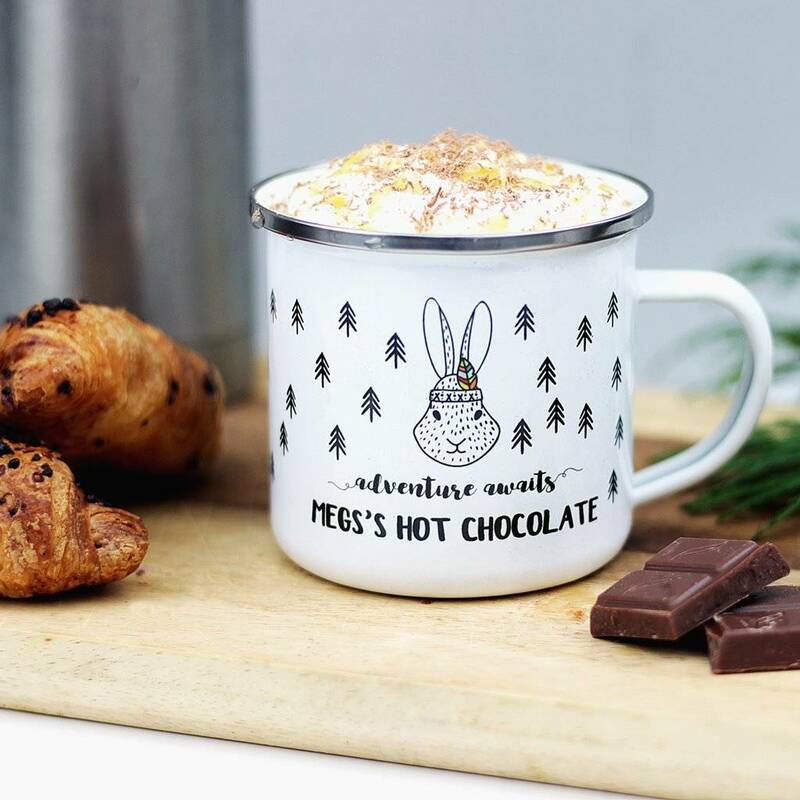 The perfect Easter gift that will last a lot longer than Egg! 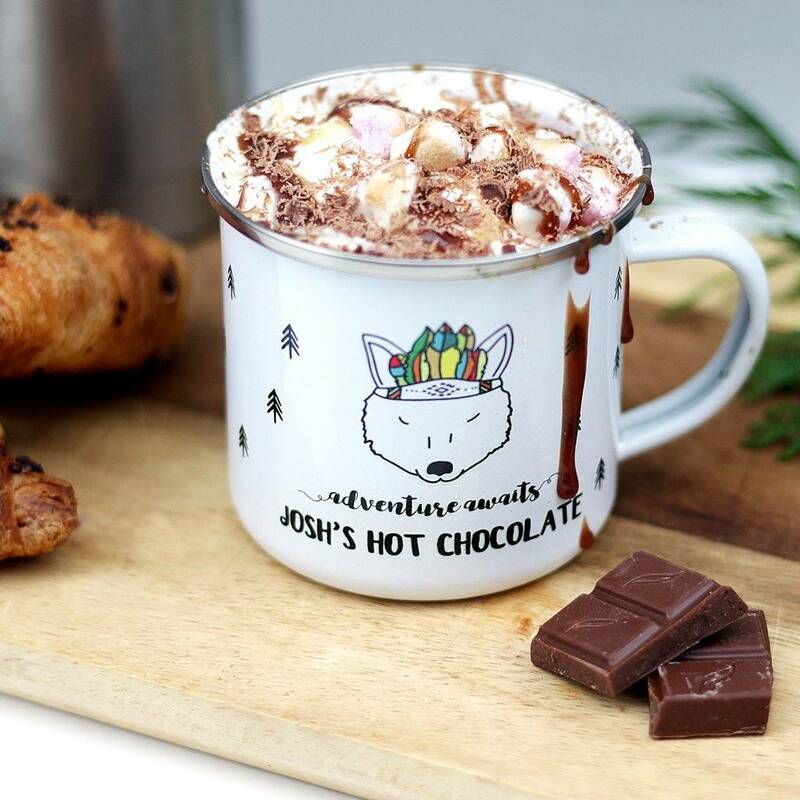 Our Enamel Mugs can be used everywhere and anywhere and are dishwasher safe. 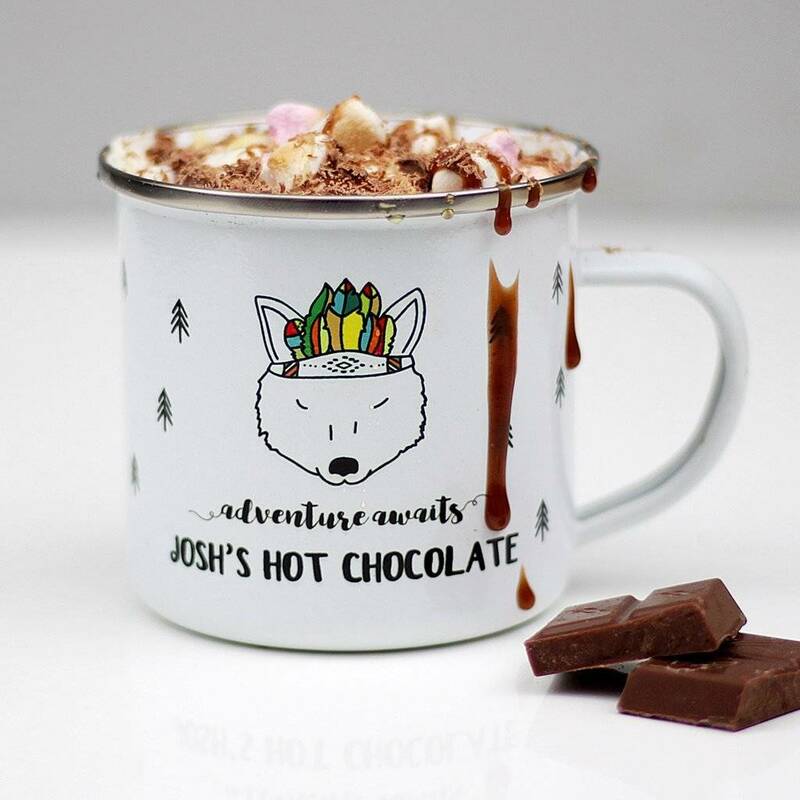 Printed in vibrant colours, these designs are completely unique, created by us and printed by us. 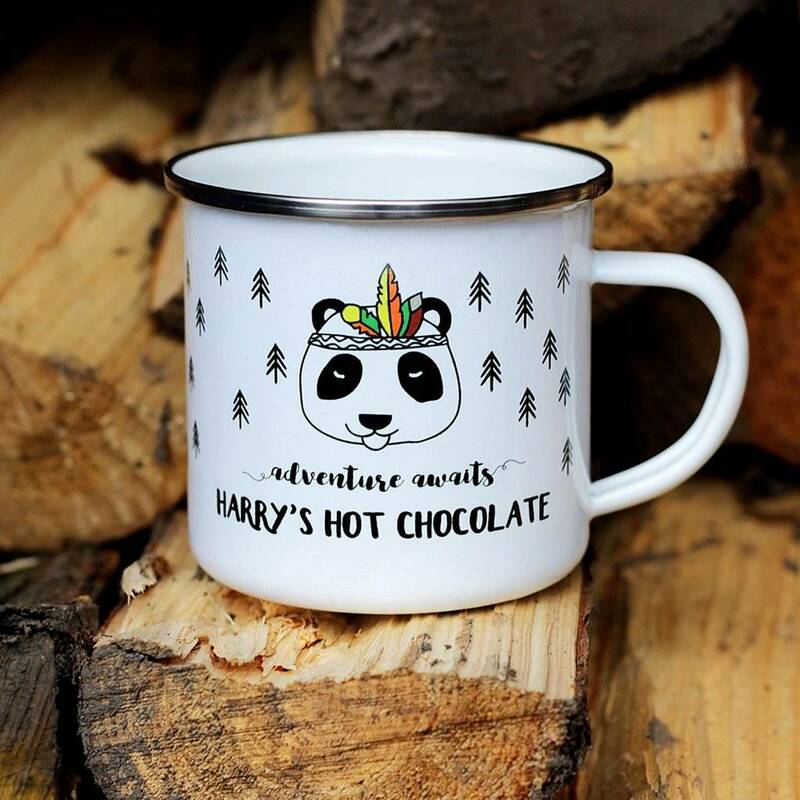 Choose from 3 Animals, Fox, Panda or Bunny. 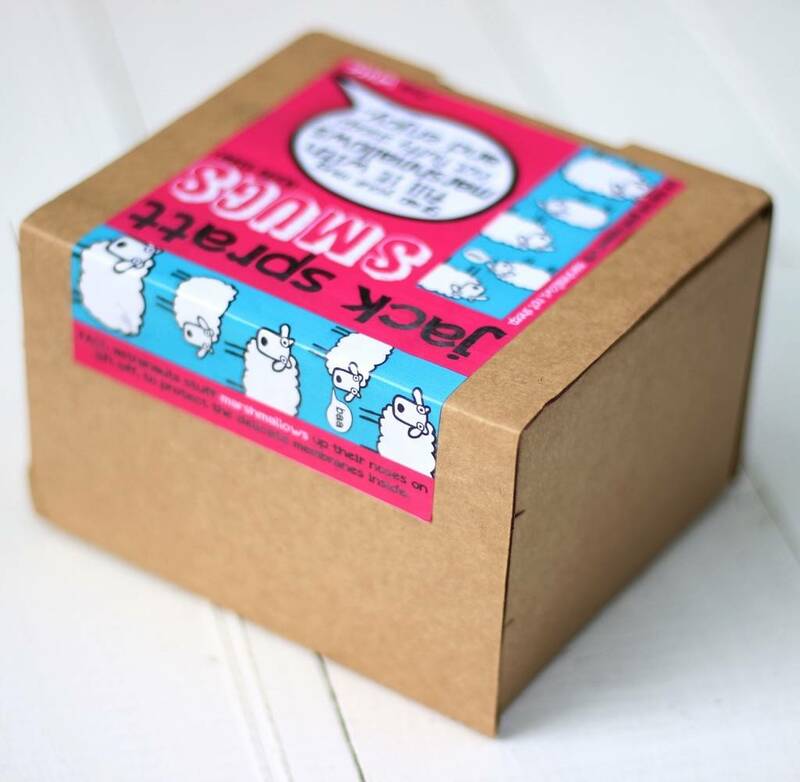 Your mug will be sent to you, safe and sound, wrapped in bubble wrap in one of our Jack Spratt triple walled boxes. These enamel mugs are very sturdy, almost unbreakable, perfect for camping trips, picnics, on the beach or round the campfire.